Ever since being stuck with the job of pythia, the chief seer of the supernatural world, Cassie Palmer has been playing catch up. Catch up to the lifetime's worth of training she missed being raised by a psychotic vampire instead of at the fabled pythian court. Catch up to the powerful, and sometimes seductive, forces trying to mold her to their will. It's been a trial by fire that has left her more than a little burned. But now she realizes that all that was just the warm up for the real race. Dorina Basarab is a dhampir - half-human, half-vampire. Subject to uncontrollable rages, most dhampirs live very short, very violent lives. So far Dory has managed to maintain her sanity by unleashing her anger on those demons and vampires who deserve killing. Vampires and dhampirs are mortal enemies, and Dory prefers to work alone. But Dracula is the only thing on earth that truly scares her, so when Dory has to go up against him, she'll take all the help she can get…. 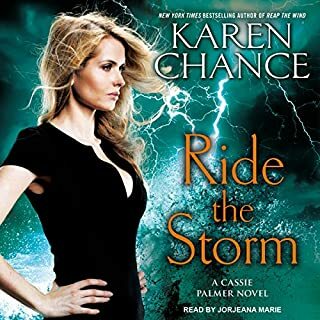 Okay, I love all of Karen Chance's other books and I was excited to read this one because it was a spin off from the Cassandra Palmer series....however it was not good enough. I wonder if it was just the narrator??? I wish they had the same narrator for this book as the CP Series because most of the characters are the same. However, They dont sound the same in this book, Mercea has a horrible accent, Louie Cesare doesnt sound french, he sounds German, and the main character Dorina sounds like shes 50 years old. I couldnt even get through the first part. If you havent heard the CP series then you might like this book, otherwise it will not be what you expected. I love reading urban fantasy ... I especially love reading urban fantasy that has some family drama mixed in. Dorina (Dory) is the daughter of Mircea Basarab - older brother to Dracula and Radu the Handsome. Given the fact that she's the 'Black Sheep' due to being only half vampire and that it seems like all of vampire kind have an extreme aversion to her, she has a bit of a grudge - but that's nothing she's not used to - especially when she's number 1 on her Uncle's hit list, she's estranged from daddy except for him hiring her to try to get Vlad under control and the one person who's able to help her control her own Berserker like rages (her roomie) has gone missing. It's a busy time for this hunter of insane vamps .... but at least she has good company with a certain vamp that Mircea has going along for the ride with her. I really enjoyed this book. I love the Cassie Palmer series as well, and this was just like candy on the side for me. I got to know more about a couple of my favorite characters and the narration was very good. I would definitely recommend this book. I like action in my books, with a little bit of romance, and this book doesn't take the story too far in either direction. In the first book Dorina had too much anger and hang up against her father making things awkward and tiresome. But in this book I think she is seeing things more clearly and starting to move forward. I can see new possiblities in her life and her ever growing companions. This book's murder mystery was pretty interesting, too. It had me going for a while. I eagerly await the next book! I am a fan of Karen Chance's Cassandra Palmer series. Her characters aren't particularly sharp but they are hilariously flawed. 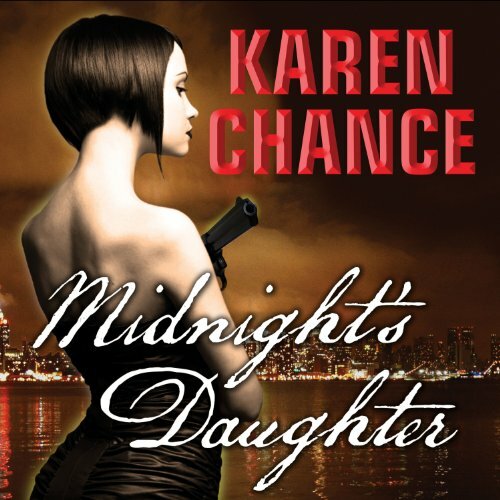 So, I was really excited when I saw that Audible.com had Midnight's Daughter which is the first book in her Dorina Basarab series. In Midnight's Daughter, we see half-human/half-vampire Dorina stumble through solving the mystery of the missing roommate. Unfortunately, Dorina is all bravado with very little depth and her character becomes tiresome. I gave Midnight's Daughter three stars largely because Radu's character is brilliant in this book. Chance gives him a quirky personality all his own. Finally while Joyce Bean's narration is adequate, I really miss Cynthia Holloway. Book is awesome.. Narrator is not. I love the Cassie Palmer series and I LOVE Cynthia Holloway as a narrator. The narrator for this book just seems to do it all wrong compared to the voices Cynthia Holloway did with the Cassie Palmer series. Since many of the characters show up in both, it's just weird having completely different voices and having words pronounced wrong. 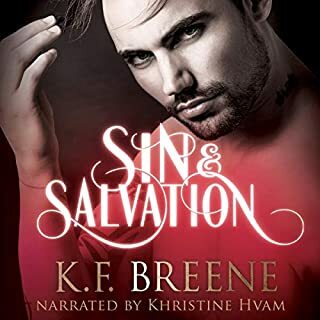 I read the book when it first came out, and I was excited when I saw that it is now available in audiobook form, but I will continue to just read the Dorina series and listen to the Cassie series because of the narrators. Anyways, it is a great series if you are a fan of the Cassie Palmer series. You get to learn more about some of the smaller characters. Dorina is kind of mentioned in the last Cassie book. I found the narrator pretty decent, and the story line interesting. People who complain about narrators should listen to Audiable's free short listen before they purchase. At least it gives you a taste of the narrators skills. I know several that I always like, but when I see a new name I always listen first. 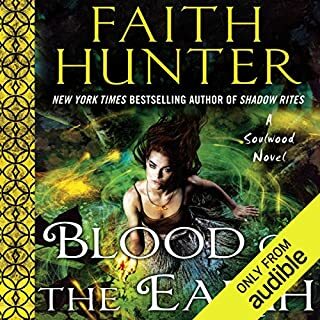 I found the "Dhampir" fantasy interesting, and since this is the first book in a series and I thought this was pretty good I will most likely get the next. Not a Jim Butcher, Loral Hamilton, or Kim Harrison.....but not half bad. Very interesting storyline. The main character, Dorina is strong and hard headed at times. The history between her and Mercea turns out to be quite fascinating, the story flow smoothly and the narrator, Joyce Bean narrated quite well with all the different voices for the different characters. Good start to a new series which I will be following. I have been curious about this book for a very long time. I shouldn't have indulged my curiosity. After 3 chapters I was sick of the lead character and couldn't continue. Wow, so well written. What an imagination Karen Chance has. I have read her other series as well and am looking forward to the next book in both series. Love these vampires, demons, etc. Makes my life look boring. 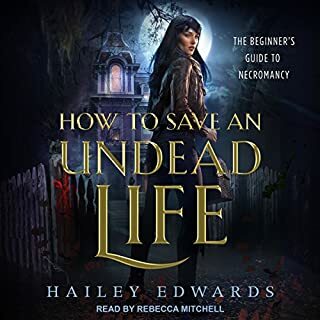 If you like Cynthia Holloway's performance on the Cassie Palmer series, simply buy the real book and leave this audible alone. It's not even close to the characters we know and love. All the guys sound alike. It's just bad. I will buy the nook version and read the 2nd book but I certainly can't make it through one more audible with this narrator. UGH!! !